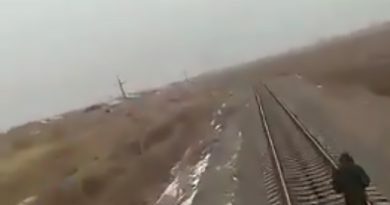 This is the moment a man jumps in front of an oncoming train and survives despite landing with his legs across the tracks as the locomotive runs him over. In the footage, the man is seen waiting for a train to arrive and just as it approaches the platform, he jumps onto the tracks and lies down. The train then continues to travel for several metres before coming to a stop. 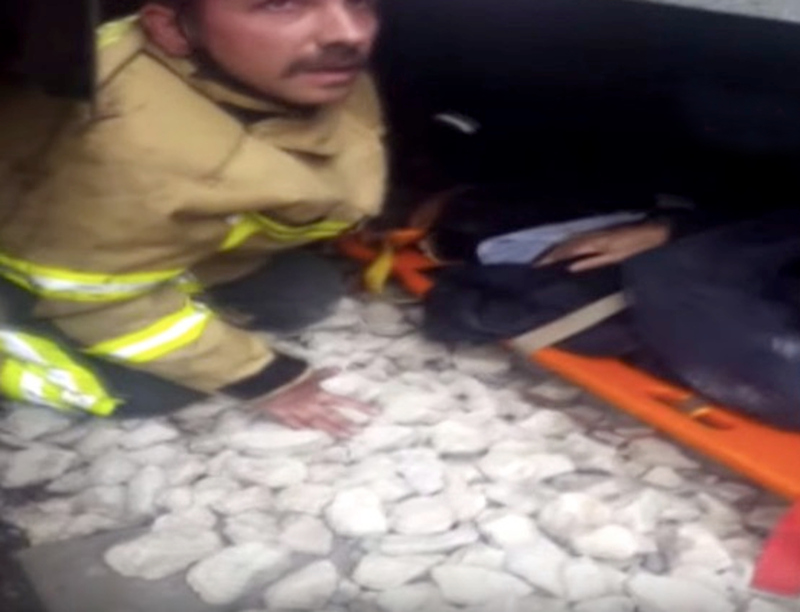 Huseyin can then be seen apparently stuck under the train and being helped by firefighters. 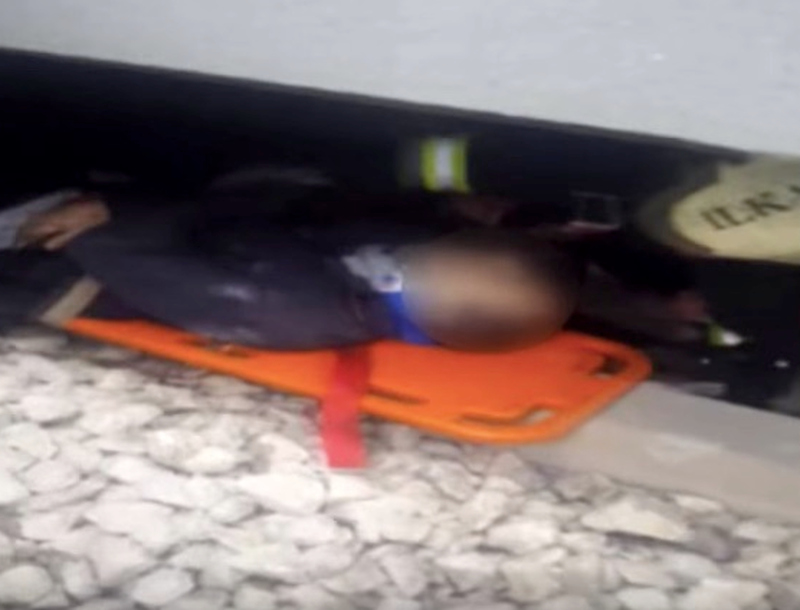 A rescuer appears to indicate that the man’s leg, that appears to have a tourniquet on it, is jammed under the wheels of the train. According to local media, the man survived the shocking incident but is currently battling for his life in hospital. 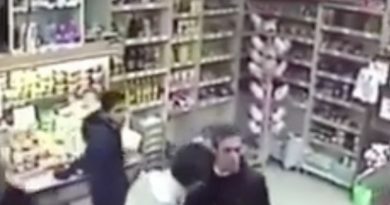 The incident was filmed by a CCTV camera at a train station in the north-eastern Turkish province of Bursa when the man, identified as Huseyin Can G., appears to have tried to take his own life. 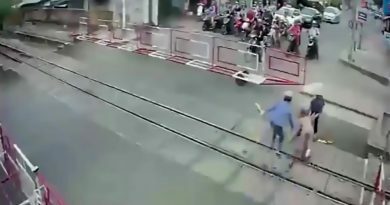 After he jumped on the tracks, rail workers immediately called the emergency services and he received first aid at the scene. He was then transferred to the Uludag University Faculty of Medicine Hospital where he is said to be in a critical condition, although the full extent of his injuries is currently unknown. 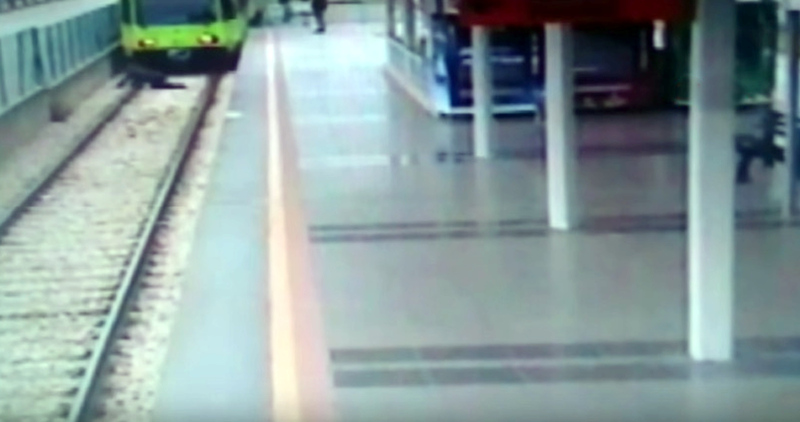 Reports said that the station was closed for several hours after the incident. The local police have confirmed that they have launched an investigation. The reason behind the man’s apparent suicide jump is currently unknown.